MARION — Alternative pop/rock band Gin Blossoms and southern rockers the Georgia Satellites have been named as the headliners for the 37th Marion Popcorn Festival. Gin Blossoms will take the main stage on Friday, Sept. 8 and Georgia Satellites are set for Saturday, Sept. 9. Both performances begin at 8:30 p.m. and are free to festival attendees. The main stage lineup for Thursday, Sept. 7’s Bike Nite will feature The Prince Experience, a Prince Tribute Band, at 8:30 p.m., with classic rock/blues band Reckless Abandonment opening at 6 p.m. Thursday night’s main stage is sponsored by Mennel Popcorn and these shows are free of charge. Gin Blossoms. Originally scheduled for 2007, Gin Blossoms was the only act in the 37-year history of the Marion Popcorn Festival to get rained out. They will now also be known as the only band to get a repeat invitation for the main stage of the Marion Popcorn Festival. Formed in Tempe, Arizona in the late 1980’s, Gin Blossom’s qualified to perform at the South By Southwest Music Festival in Austin Texas in 1989. That same year college music journal dubbed them “The best Unsigned Band In America” and added an invitation to perform on MTV’s New Music Awards in New York City. Their breakout record New Miserable Experience was where their rise to fame began. This album kept the band on the chart for almost three years with singles “Hey Jealousy,” “Allison Road,” “Until I Fall Away,” “Mrs. Rita,” and “Found Out About You.” The crossover hits on New Miserable Experience played on four radio formats and to date has sold over five million records. 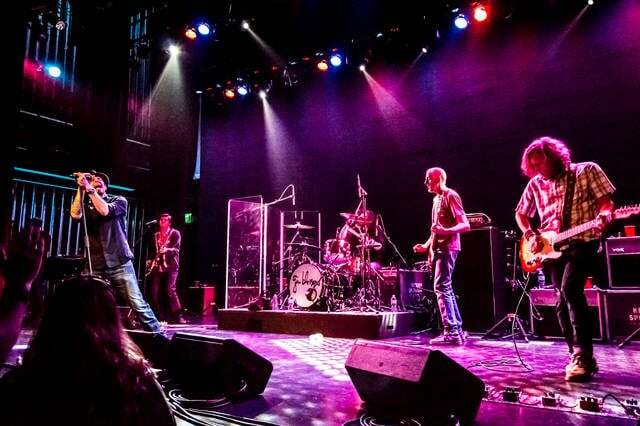 Gin Blossoms disbanded in 1997, but came together for a New Year’s Eve 2001 performance in their hometown of Tempe. The band reconvened and has been touring ever since, playing close to 150 shows a year. Hailing from Atlanta, Georgia, The Georgia Satellites are best known for their 1986 debut hit, “Keep Your Hands to Yourself.” The song reached number two on the Billboard Hot 100 that year, topped only by Bon Jovi’s “Living’ on a Prayer”. MTV ran the video in heavy rotation and the music video earned a Best Art Director award at the MTV Video Music Awards. Other hit songs included “Battleship Chains, “Can’t Stand the Pain,” “Railroad Steel,” “Open All Night,” and “Hippy Hippy Shake” which was recorded for the movie Cocktail. The Prince Experience – Prince Tribute Band. Gabriel Sanchez has been portraying Prince since 2002. He began in a small, local theatre production of Purple Rain and, following the success of that effort, expanded the performance into a full-fledged tribute to Prince. For information, visit www.popcornfestival.com or call 740-387-FEST. The Marion Popcorn Festival is sponsored in part by the City of Marion.